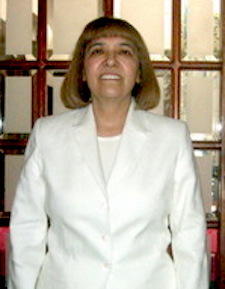 Dr. Carola Andujo Rolon was bom in Mexico City , Mexico . She holds a Ph.D. in Mathematics in the field of Algebraic Geometry from Harvard University , Boston , USA . As a mathematician, she did research in the geometry of space and time. Dr. Carola Andujo Rolon is one of the founders of Fundación Vimutti in Mexico, a non-profit organization established to spread the teachings of the Buddha in Mexico. Fundación Vimutti is one of the first Buddhist meditation center in Mexico. Currently, she is the Director of the Foundation and teaches Insight Meditation in her country.